48°C Public. Art. 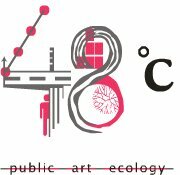 Ecology, a combined initiative of Goethe-Institut/ Max Mueller Bhavan and GTZ, is an experiment set within the capital metropolitan city of Delhi. The ambition of this festival is to interrogate the teetering ecology of the city through the prism of contemporary art. Through a number of art interventions in various public spaces around Delhi, the festival attempts to draw a diverse public into the world of this critical imaginary. Delhi Greens, the Outreach team for 48°C – the first of its kind Public, Art, Ecology Festival that will take place from 12th to 21st December, 2008 – calls for volunteers for the purpose of this festival. Throughout the festival, we would be putting up large art installations made by reputed artists, in different parts of the city, where each volunteers is supposed to manage the art installation alotted to her/him and take feedback. Delhi Greens will be holding an orientation sessions for the final list of volunteers followed by an interaction with the artists themselves in the week prior to the event. A certificate of appreciation from 48°C-Delhi Greens, Goethe Institut-Max Mueller Bhawan and GTZ. A Letter of Appreciation (if requested for) depending solely on merit and performance of the volunteer. I will be highly obliged if you give me a chance to participate in this, & in your furture projects. an oppertunity of being volunteer…in any project conducted by organization.